In honor of National Eating Disorders Awareness Week, it’s important to educate people about the dangers that eating disorders pose to regular people all around the world, each and every day. According to the National Eating Disorders Association, over 20 million women and 10 million men suffer from a clinically significant eating disorder during their lifetime. 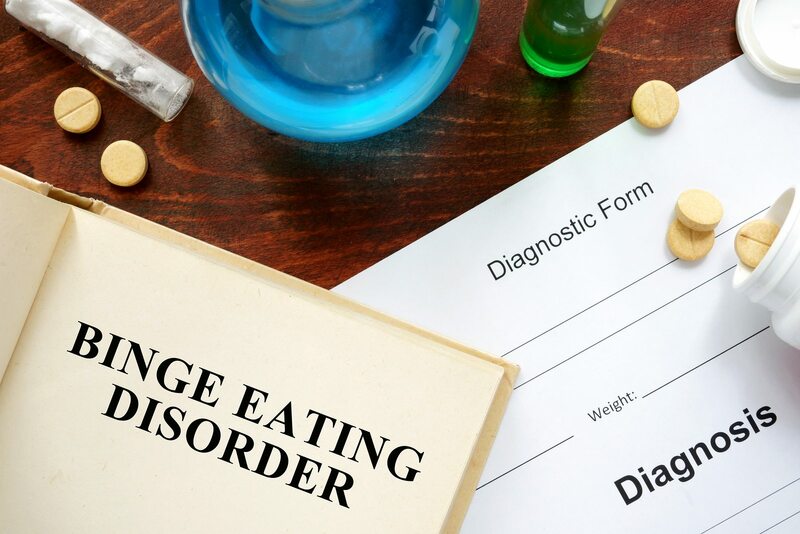 For far too long, one of the most prevalent eating disorders went under-diagnosed and under-treated as an Other Specified Feeding or Eating Disorder. Fortunately, Binge eating disorder (BED) was officially recognized as a formal diagnosis in 2013, allowing more funding, research and treatment to be directed toward the disorder and its patients. BED is a severe and life-threatening disorder pronounced by recurrent episodes of binge eating with patients feeling a lack of control over what and how they are eating. According to a 2007 study by NEDA, BED is over three times more common than anorexia nervosa and bulimia nervosa combined, and is also more common than breast cancer, HIV and schizophrenia. It can be caused by a variety of outside factors. Genetics can play a role in whether someone is susceptible to BED, as can mood disorders, trauma, weight-related discrimination and drug or alcohol abuse. If left untreated, BED can take its toll on the body, causing numerous harmful conditions including Type 2 Diabetes, high blood pressure, heart disease, depression, gallbladder disease, certain cancers and other conditions. Fortunately the disorder is treatable. Affected individuals can treat BED through cognitive behavioral therapy, specialized nutrition counseling, individual psychotherapy, medication management, support and therapy groups and other methods. The Binge Eating Disorder Association suggests that people suffering from BED seek out professionals who have specific training to treat the disorder who are also able to manage mood disorders, addiction, trauma and weight insecurities, as patients with BED are often extra susceptible to those issues. What Resources Are Available For People With BED? Chevese Turner, the founder and president of BEDA, details her struggle with the disorder on the organization’s website. She said she formed the organization to build a community for those who also struggle with BED. “It is my sincere hope that the millions who suffer from eating disorders will have a place where they can discover they are not alone and can, indeed, learn to build their own path to recovery with the help of the treatment provider community and BEDA,” Turner wrote on the website’s history page. Turner says that despite the pain and difficulty that BED causes, the recovery process can lead to self-awareness and joy in the lives of those suffering from it. If you suspect that you or someone you know if suffering from an eating disorder, NEDA offers a helpline for support, resources and treatment options by calling 1-800-931-2237. The helpline is available Monday through Thursday from 9 AM to 9 PM ET, and Fridays from 9 AM to 5 PM. Due to the new classification of the disorder, improved treatment options are reliant on studies to find new and more advanced options for people suffering from BED. If you suffer from the disorder, please consider applying for one of the Lehigh Center’s clinical trials.